In the 2018 spring semester, The State Press began seeking stories that looked critically at the cost of attending ASU, hidden and unexpected fees, and the ways the University spends its money. We felt these topics merited a deeper look than what we had previously offered our readers. The "Cost of ASU" is a project highlighting State Press reports, from coverage of the lawsuit between the Arizona attorney general and Board of Regents to a breakdown of Tempe student government's $2.5 million budget. We also produced a special podcast series on how students were paying for tuition. We set out to report, analyze and share the truth behind how, if and to what extent ASU fulfills that mission. The stories featured in the "Cost of ASU" series are only the beginning. Do you have a tip for us? Is there something we're missing? Let us know. 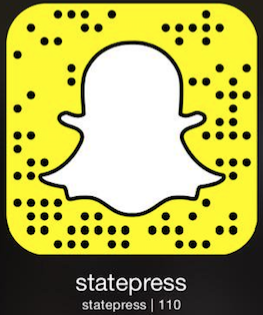 The State Press mission: We are a bold, risk-taking, digital student media organization intent on ethically serving, provoking and challenging a large and changing University audience. Have a tip or think there's something we need to add to our coverage? We want to know. You can submit secure tips here.